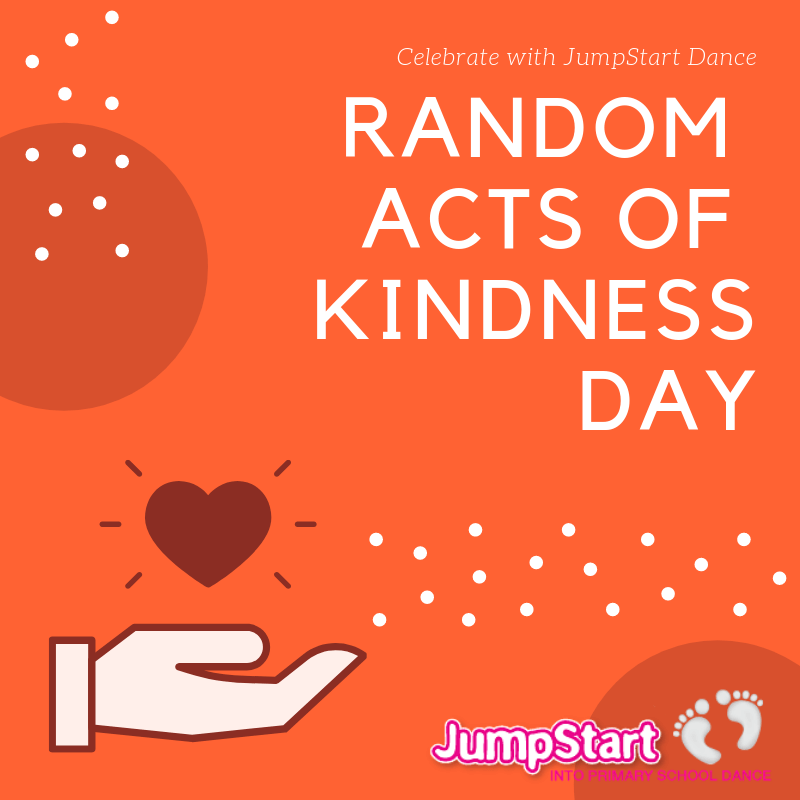 You may be aware of the phrase ‘Random Acts of Kindness’ but did you know that it has it’s own day? This year (2019) it’s on Sunday 17th February. This is a great opportunity to encourage children to be kind to each other and to discuss issues surrounding their personal, social and emotional development. We’ll discuss the benefits of being kind (there’s plenty of science to back up these claims) and give you plenty of ideas on how to try this out yourselves. Are you a teacher? Read down to the bottom of the blog to get your FREE dance lesson plan based on kindness. The Random Acts of Kindness Foundation aims to build a kinder world and to make ‘kindness effortless and have selfless acts be the norm’. Did you know that kindness is good for you? How amazing is that! And the even better news is that being kind is usually FREE! All it takes is a compliment, some kind words or a hug. At home, we’ve been leaving notes for others to find. This lovely idea has worked brilliantly in our house and came out of a WHOLE afternoon of my two children arguing and bickering! I got so fed up with it that I decided to ban the TV. The only way they could earn back their entitlement to screen time was to complete at least 6 random acts of kindness to each other. And they still needed to continue to have 6 acts each in order for TV to resume – if either one of them was mean or rude they would have one of their kind acts struck off their tally. It was amazing how quickly the atmosphere in our house went from agitation, whinging and irritation to one of calm, love and kindness!!! Maisie ran the bath for Oscar. Oscar gave her hugs and lots of kind words. Maisie tided up her brother’s room (she’d NEVER have done that if I’d actually ASKED her to!) and they both left lots of lovely notes to each other. 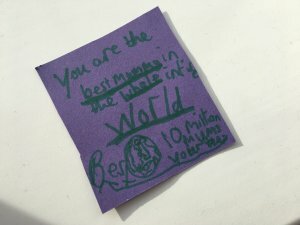 Not only did it impact on my children, but it spilled over onto myself and the other half too as we discovered messages for ourselves later on. Teachers! Wondering how this links in with dance? JumpStart have JUST finished writing a NEW lesson plan based on ‘The Smartest Giant in Town’, which ties in perfectly with the issues of kindness and taking care of others. Aimed at Foundation Stage / KS1 children. Parents! The ideas on this plan are easily adaptable for families too – read through the story and try out some of the actions with your children. They’ll love moving with you and having quality time together. To access your plan, click here The Smartest Giant in Town lesson plan.